New 180 mm spring for children’s trampolines. Your trampoline is made up of numerous springs and these may already be well used. If some of your springs are beginning to show signs of wear, the coils are stretched and the tension in the jumping pad is no longer the same, you must change them. - The spring's 180 mm, covers the coils and the two hooks. This spring has a steel wire of 3.2 mm and a coil of 23 mm, ideal for a flexible bounce on children’s trampolines. - The gold surface coating the springs from any corrosion. This protection is essential and means that you can leave your trampoline outside all year round without worrying about rust, which often appears on low-cost trampolines, as protection is superficial. - To attach the spring to your trampoline, two hooks are used: the first is more closed to hold firmly on the jumping pad, whereas the second is more open making it easy to fix to the steel framework of your trampoline. 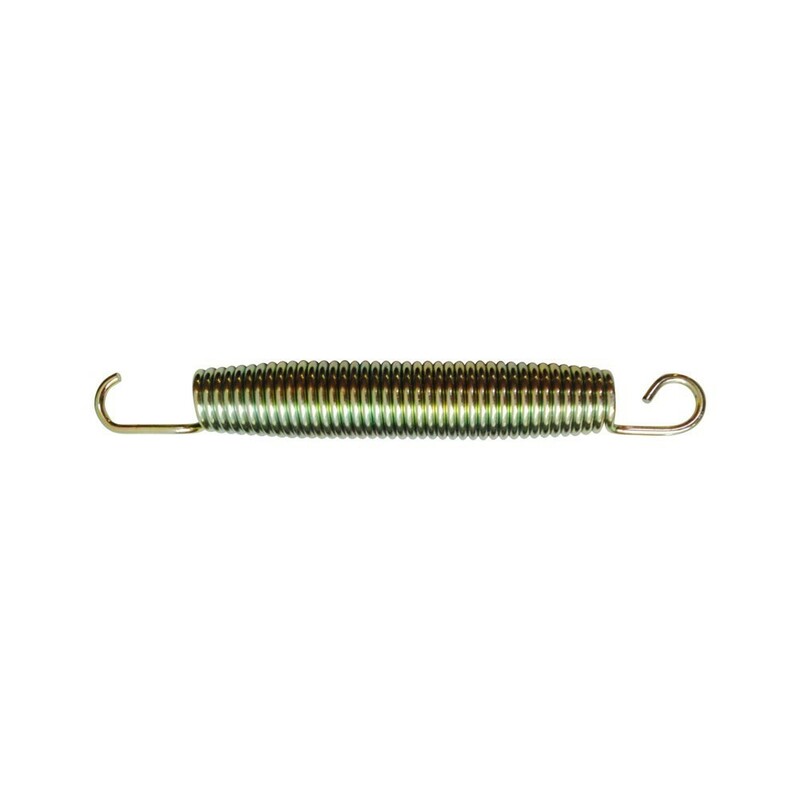 NB: This spare spring is used on any trampoline in the Oxygen range with enclosure. It can also be used on any other trampoline using springs of 180 mm in length. To remove the old springs, we recommend using a hooked clamp to stretch out the spring and remove the hook easily by placing pressure on the coils.